Look here for links to websites offering free language lessons, activities, and interactive games for both parents and students of all ages. You'll find resources for Spanish, French, German, Chinese, Latin, and more. For retail curriculum products and non-free resources, see our foreign language curriculum section. Free Online Spanish Lessons from 123TeachMe.com. They offer online Spanish learning materials for grammar, vocabulary, verb conjugations, and more. ASLU offers free self-study lessons including an ASL (American Sign Language) dictionary, signing videos, a printable sign language alphabet chart (fingerspelling), Deaf Culture study materials, and resources to help you learn sign language. Good for homeschool students, parents (baby signing), interpreters, and people who just want to learn fun ASL phrases like hello, thank you, I love you, etc. chillola.com is a free foreign language website for children. Kids learn foreign languages through games and activities. This exciting website help kids learn French, Spanish, German, Italian, and English. If your kids have ever considered learning Mandarin Chinese, you should take a look at this free resource. You'll find engaging videos--most with textbook lessons you can download, a vocabulary list, and helpful links. The Digital Dialects website features free to use online games for learning languages. Language resources include games for learning phrases, numbers, useful words, spelling, verb conjugation and alphabets. Games use Macromedia Flash Player. Learn languages completely free, without ads or hidden charges. It's fun, easy, and scientifically proven. Duolingo offers courses in Spanish, French, German, Portuguese, Italian and English. If you want to learn how to speak, read, and write the Japanese language, you've come to the right place! On this site you will find such things as the Japanese alphabet (including Hiragana and Katakana) as well as Kanji, Japanese grammar, Japanese sentence structure, and common Japanese phrases. French and Spanish lessons for beginners and kids. You will find a conjugator for all French verbs and an English French Dictionary, also with ImTranslator you can write in French in the box at the bottom of the page and listen to the text. Includes mp3 audio files to improve your pronunciation. Free French language lessons and a unique learning engine help you to practice and learn French online. Editor's Note: You will need to register for a free account. Games, songs and activities make learning any language fun. Use hello-world by itself or as an enhancement to any language program! Hello-World has free activities in every category! The free games and activities are clearly indicated at the top of each page. Japanese-Online.com provides free learning services to people who wish to study the Japanese language. They also provide a means for Japanese learners to find and talk to one another, as well as seek language exchange relationships with Japanese speakers. Membership is free, however, there is a waiting list and new members are accepted as space allows. In this section you can take Japanese lessons and try speaking the language. You can also learn the characters used to write Japanese. Learn basic phrases that people use everyday. You can practice them yourself after hearing how they're pronounced. Languages4free.com offers free lessons in Spanish, English, Italian, French, German, Chinese, and Japanese. Start with greetings and courtesies, then continue with alphabet, numbers, days, months and seasons, question words, quantities, weather and time, asking for help, emergencies, banks, taxis, restaurants, transportation, finding your way, touring, places to see, socializing, some famous French expressions and finally (whew!) some very romantic French expressions to impress someone special. Learn Latin Online! is a free online course for anyone wanting to learn the Latin language. 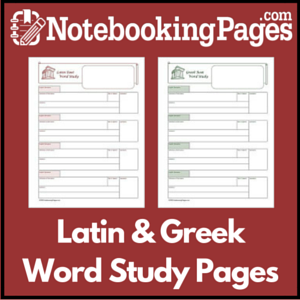 You will find everything you need to excel in Latin-- including texts and personal tutoring! Learn Mandarin Chinese quickly and easily! 40 online lessons with audio, including reading, speaking, writing, modern vocabulary, grammar, calligraphy, examples and exercices. All texts and dialogs in mp3 format for download. Linguasnet is an interactive multimedia language course specially designed for improving listening and speaking skills. You can learn totally free ENGLISH, SPANISH, PORTUGUESE and ROMANIAN. There are fourteen lessons including animations, interactive exercises, listen and repeat and games. This is a free medical Spanish website that includes greetings, history, examination, and everyday speech, all with translation and audio. It is designed to help medical personnel, however, homeschool students will find the basics, anatomy, geography, and grammar and exercises sections helpful as well.